Look for this label of assurance on ALDI household textile products. 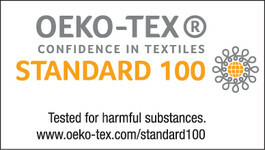 All "Confidence in textiles" certified products have successfully passed tests for harmful substances according to OEKO-TEX® Standard 100. 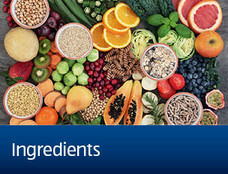 Specially prohibited AZO dyestuffs - some AZO dyestuffs may separate under certain conditions to produce carcinogenic and allergenic aromatic amines. These dyes can be absorbed through the skin with prolonged contact. Phthalates - most popular plasticizers used to soften PVC. Studies have shown that phthalates can have a potentially hazardous effect (e.g. endocrine disruption) especially to children under age of 3. Formaldehyde - causes harm to health by irritation to mucous membranes and respiratory tract. May trigger asthma symptoms. Formaldehyde is a known carcinogen. Extractable heavy metals - when absorbed, heavy metals tend to accumulate in the liver, kidneys, bones, heart and brain. If high levels of accumulation are reached, effects on health can be detrimental. Introducing Made in Green by Oeko-Tex®, a traceable consumer label that is used exclusively for textiles. 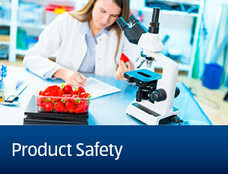 Work has been done to enhance product safety and sustainable production in textiles. The MADE IN GREEN label offers new levels of transparency to consumers and businesses alike, in textiles produced anywhere in the world and at any stage of the textile supply chain. Each item using the MADE IN GREEN label features a unique product ID and/or QR code allowing you to trace the articles production. Each product ID gives you visibility to the various stages of production as well as the countries in which textiles were manufactured. Transparency creates trust. 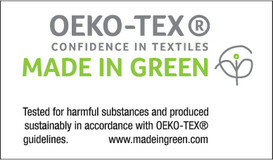 MADE IN GREEN is the OEKO-TEX® association’s first traceable textile label. 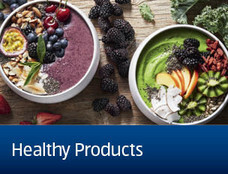 It ensures that the labelled products have been tested for harmful substances, produced under safe and socially responsible conditions and in environmentally friendly facilities. 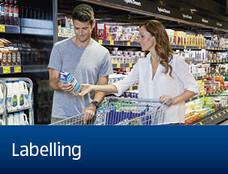 Each product features a unique ID or QR code that allows consumers to trace its supply chain. For more information on the Made in Green program, see here.